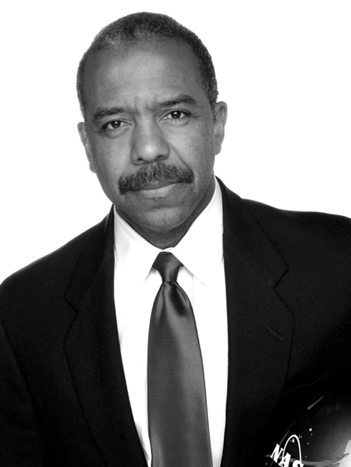 Bernard A. Harris, Jr., is founder and president of the Harris Foundation, a nonprofit organization that supports youth programs in math and science education and crime prevention. He is also a chief executive officer and managing partner of Vesalius Ventures, a venture capital firm that invests in innovative health care technologies and companies. Dr. Harris is a former astronaut who was the space shuttle payload commander on the first flight of the joint Russian-American Space Program and the first African-American to walk in space. Dr. Harris worked with NASA for ten years and later served as vice president and chief scientist at SPACEHAB, Inc., a space commercialization company. He holds several faculty appointments, including clinical professor in internal medicine at the University of Texas Medical Branch and assistant professor at Baylor College of Medicine. He holds an M.D. from the Texas Tech University School of Medicine, an M.M.S. from the University of Texas Medical Branch, and an M.B.A. from the University of Houston. Dr. Harris trained as a flight surgeon at the Aerospace School of Medicine at Brooks Air Force Base and has conducted research in the fields of musculoskeletal physiology, disuse osteoporosis, and space adaptation. Dr. Harris is a fellow of the American College of Physicians and a member of the board of many institutions, including the National Math and Science Initiative and the National Space Biomedical Research Institute. Morehouse School of Medicine, NASA, the American Astronautical Society, and many other institutions have recognized his achievements with honorary degrees and awards.